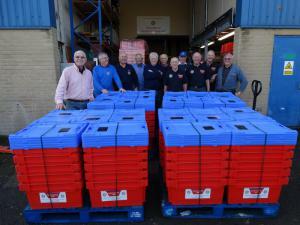 WorldWaterWorks and the Water Survival Box is a charity managed by the Rotary Club of Chelwood Bridge. 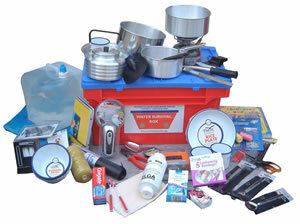 The Water Survival Box is a fully paid for product full of new items and does not need filling by external organisations. The new items will be tailored to suit the disaster locations. The cost of a survival box is £150. (inclusive of airfreight costs). Purchases can be made online and we would appreciate your support. 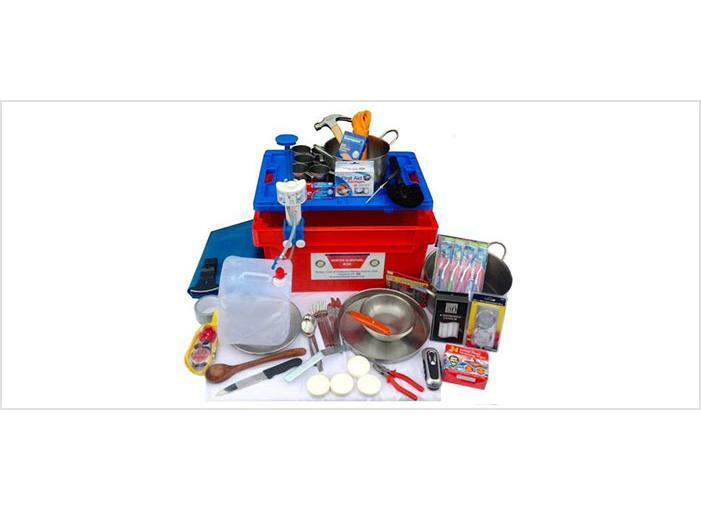 The Water Survival Box is a rigid, reinforced 54 litre plastic container that becomes a receptacle for water when emptied of survival items, it includes a Grifaid pump and filer which provides 100000 litres of safe water – more than enough for family for several months, plus essential survival items, such as hygiene, cooking and tools as well as a basic shelter – via tarpaulin sheet.